With a central and prominent position within the town centre this modern office building provides fully serviced work accommodation which means that tenants only need to pay one monthly payment. Middlesbrough Railway Station is just 5-minutes' walk away, and provides services to Newcastle, Sunderland, York and Manchester. Nearby, there are bars, restaurants and cafes, for time spent away from the office. This property provides purpose built office accommodation in a business park that offers a mix of office and industrial units. The centre is a short walk from Middlesborough bus station, and offers fantastic business accommodation that is newly decorated throughout. Ample free parking is available. This three-storey office building has been completely refurbished and sits at the heart of Middlesbrough"s regeneration area (Middlehaven). On offer is high quality open plan office space that shares the building with an on-site bistro and art gallery. A variety of office space solutions within a three storey building in a prime location in central Middlesbrough. Features include a full reception area, perimeter trunking, suspended ceilings, lifts and ample parking facilities, including some garage spaces. adjacent to Middlesbrough's Centre Square, with a wide selection of nearby retail and entertainment options as well as other local amenities close at hand. Convenient access to the Middlesbrough bypass, providing links to the A19, Newcastle, Sunderland and the surrounding regions. 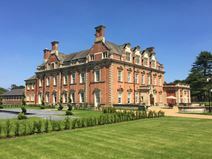 This building was built in 1863 and is the only Grade I listed building in the Tees Valley. It has been refurbished to provide a variety of offices suitable for up to 10 desks, meeting rooms and conference facilities. Located close to the Teeside University campus and local car parking, this award-winning building provides high quality, fully fitted offices of up to 16.500 sq ft. A range of solutions are available, and the property boasts a 40-car basement car park. Conveniently located just 5 minutes from the centre of Middlesborough, this characterful period property has been completely refurbished to provide quality office suites in a variety of arrangements to suit your needs. An art gallery and bistro are available to tenants for presentations and networking events. This centre, based in Middlesbrough, offers a great workspace coupled with a fantastic central location. The centre has a great reception service for tenants to make use of throughout the working week, who will be happy to assist you with any issues you may have. 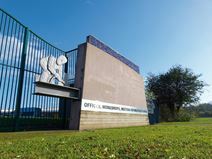 The centre also boasts an on-site cafe and on-site fitness facilities. 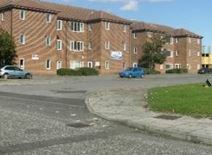 It is situated just minutes walk from the heart of Middlesbrough and less than a mile from the train station. Two miles from Middlesbrough Town Centre this building is one of the best known office and conference locations in the area. The business centre provides a range of high-spec offices suitable for start-ups as well as larger solutions for established and larger companies. A range of great amenities including on-site support staff are available. This centre is based just outside of Middlesbrough and aims to support the growth of entrepreneurs in the area. The centre offers high quality workspace with great amenities, including 24hr access, a fantastic onsite management team, kitchen facilities, meeting rooms and shower facilities. The centre sits on the A66 thus gives tenants fantastic access to the motorway network. Middlesbrough train station is also just a ten-minute drive. On a sought-after industrial estate in the heart of Middlesbrough, this business centre provides equipped office space in addition to workshop and storage options. Tenants have access to free meeting and training room facilities as well as the on-site free car parking. A large selection of workshops, offices and storage units is available at this site. Conveniently situated for Middlesbrough town centre and Durham Tees Valley Airport. Middlesbrough has an excellent road network for connections to the major centres of the North East.